VATICAN CITY -- Pope Francis says the church must study whether it's possible to ordain married men to minister in remote communities facing priest shortages. In an interview published Thursday with Germany's Die Zeit, Francis stressed that removing the celibacy rule is not the answer to the Catholic Church's priest shortage. But he expressed an openness to studying whether so-called "viri probati" - or married men of proven faith - could be ordained. "We must consider if viri probati is a possibility. Then we must determine what tasks they can perform, for example, in remote communities," he was quoted as saying. The "viri probati" proposal has been around for decades, but it has drawn fresh attention under history's first Latin American pope thanks in part to his appreciation of the challenges facing the church in places like Brazil, a huge Catholic country with an acute shortage of priests. Brazilian Cardinal Claudio Hummes, a longtime friend of Francis and former head of the Vatican's office for clergy, is reportedly pressing to allow viri probati in the Amazon, where the church counts around one priest for every 10,000 Catholics. Francis has shown particular openness to receiving concrete proposals for ordaining married men as well as his own pastoral concern for men who have left ministry to marry. He has maintained friendship with the Argentine widow of a friend who left the priesthood to marry, and he spent one of his Friday mercy missions last year visiting with men who had left ministry to start families. He has also said that while he favors a celibate priesthood, celibacy technically can be up for discussion since it's a discipline of the church, not a dogma. The church allows some exceptions to the rule. Priests in the eastern rite Catholic Church are allowed to be married, as are married Anglican priests who convert to Catholicism. In the first major interview that Francis has given a German newspaper, the pope was asked whether he experienced moments in which he doubted the existence of God. He responded: "I, too, know moments of emptiness." But, he pointed out that periods of crisis are an opportunity to grow, saying a believer who doesn't experience that remains "infantile." Francis also repeated his warning of the dangers of rising populism in western democracies, saying "populism is evil and ends badly as the past century showed." In the interview, Francis also confirmed Colombia was on his travel itinerary for 2017, as well as India and Bangladesh. He ruled out Congo, which had been rumored, but mentioned Egypt as a possibility. Francis also recently said he hoped to visit South Sudan. 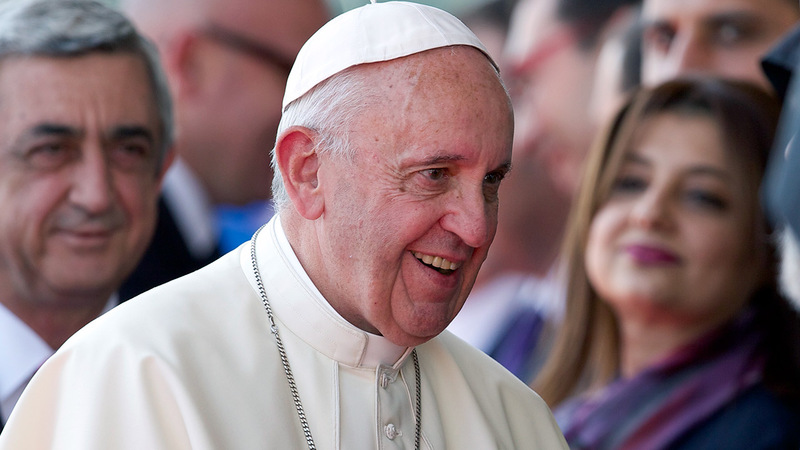 Click here for more stories about Pope Francis.